Gadgets for a recharged morning! It will make your life hell! Well, not really! It will only make the first few minutes of your morning a hell. If you have been fiddling with the idea of converting into a morning person due to some serious health issues but are always unable to discontinue your love affair with your bed, you need it in your life! And if you are bad at math, the better it is! When it rings, you will need to solve an equation to stop it from ringing and give yourself a few more minutes for sleeping. In a matter of week, you might just be able to get up from your bed and indulge in refreshing morning walks! You can buy it in a hassle free manner and that too at the best bargained price by using eBay India coupons present on CashKaro.com. While for some coffee is companion to their breakfast, for many coffee is a way of taming their mood swing and being sane in mornings. I feel ya! 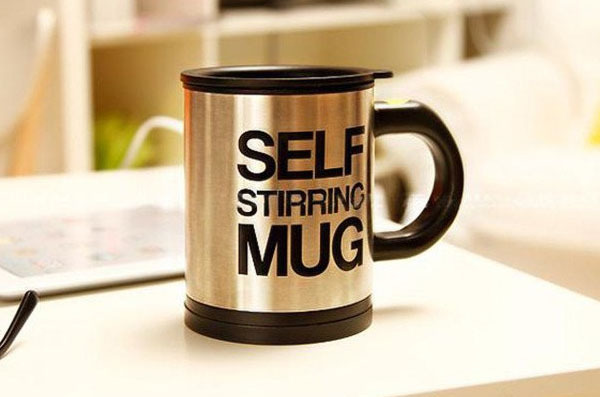 But in this fast paced era, where most are constantly juggling with thousands of things and fighting for time to reach office without getting late; a self stirring coffee mug can be a boon for them. All you have to do is put in the ingredients and the mug will stir on its own giving you a frothy coffee in minutes. You can purchase this amazing gadget at a discounted price by availing Shopclues coupons available on CashKaro.com. Say goodbye to your coffee woes! If you frequently get late to your office because you have a hard time waking up from a deep sleep, this sonic bomb alarm clock is what will rescue you! This is not your regular alarm clock. It rings at a volume of 113 decibels (that’s the maximum you can set) which can be a bit deafening! And, also terrifying. So do not get frightened when your neighbours come knocking at your door and ask about your wellness. Or maybe they rushing to your home to complain. Be prepared when you welcome this gadget in your life. If hurriedly getting out of bed and hurriedly leaving your home for work sounds like your story, chances are that there have been ample amount of times when you have struggled with a low battery phone on your way to office. 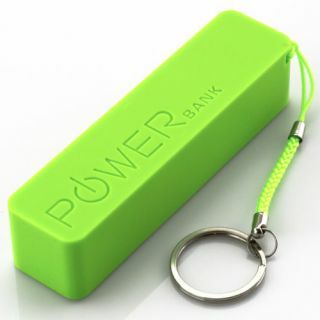 Considering the fact that smart phones are being used for a multitude of ways and especially while travelling to pass the long commute time, power banks are a blessing! You can charge your phone now anywhere on the go and anytime by simply using a power bank. Your welcome! It will be your ultimate fitness resolution tracker! From counting the calories you have burned to calculating the distance you have travelled, improving quality of sleep to tracking and setting your goals; it performs a host of functions to improve your sleep cycle pattern and help you stay committed to your goals. You can track your goals using your mobile data too. You can wear it just anytime and anywhere you want. It is available in different shades to match your taste.